Royals Hockey Jerseys Are Done! The Royals jerseys are done! The Boston Bruins-inspired jerseys made for House Baratheon fans will be shipping out next week for those who ordered. Miss out? You can sign up here to be notified the next time it becomes available. Awesome work again by Geeky Jerseys. You can see why they’re becoming such a popular hockey team outfitter these days. This will compliment the recent Direwolves jerseys nicely. If you’re interested the Lannister jersey is currently available (Update: was a May offer, now closed), and Targaryen will be offered in the next few months. A Night’s Watch 2.0 jersey is also on the docket. Stannis Baratheon and Greyjoy fans I hear you, please bear with me. If it were feasible I’d offer all houses at once, but Geeky Jerseys are super-busy these days, plus I think it’s better to space them out to avoid wallet fatigue. 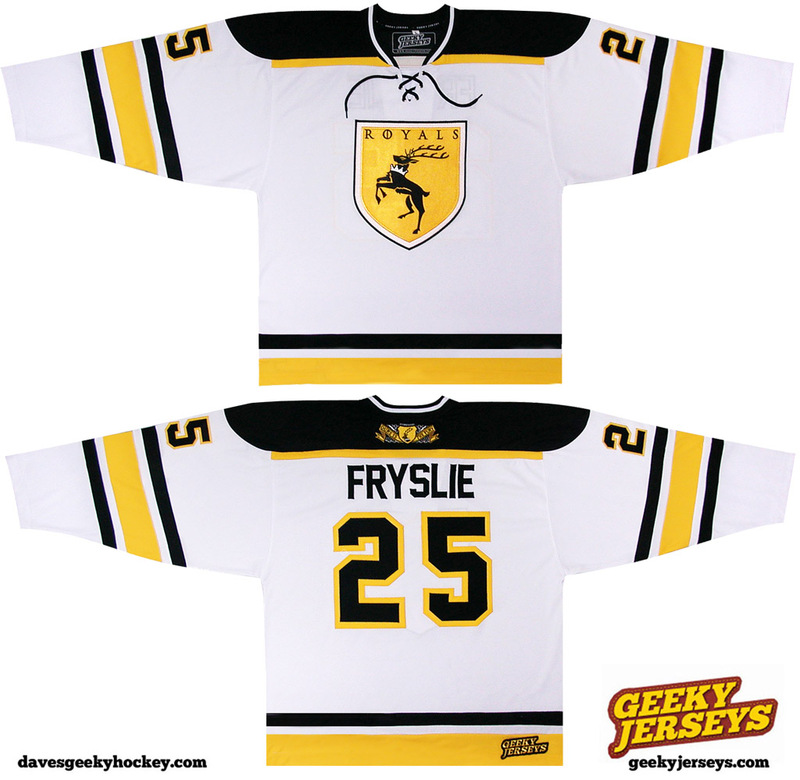 Posted on May 10, 2013, in Completed!, Geeky Jerseys and tagged Baratheon, boston bruins, Completed!, Game Of Thrones. Bookmark the permalink. 2 Comments. Is there such a thing as a Greyjoy fan?